South African lawmakers will seek to end the breeding of lions for trophy hunting and the trade in their bones, setting parliament on a collision course with a powerful industry. South Africa has as many as 8,000 lions in captivity being bred for hunting, the bone trade, tourism and academic research, according to estimates by wildlife groups. 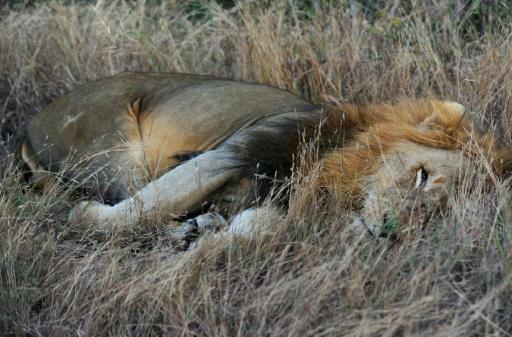 By contrast there are just 3,000 lions in the wild, living in the country's national parks where hunting is prohibited. Trophy hunting is a $36-million industry, but parliamentarians have been emboldened by high-profile global campaigns to push for its demise. A committee of lawmakers responsible for overseeing environmental affairs recommended on November 12 that the government reconsider the rules governing the breeding of captive lions for hunting and bone harvesting. The global trade of body parts from lions killed in the wild is banned by international treaties -- but permitted for animals bred in captivity. The MPs resolved that ministers should review the issue "with a view to putting an end to this practice". The decision followed two days of crunch talks between MPs, breeders and animal welfare campaigners. Lawmakers also want the government to "reconsider" its recent decision to nearly double to 1,500 the quota of lion skeletons that can be legally traded this year. In the past decade South Africa has exported the big cat bones to Laos, Thailand, Vietnam and other markets in Southeast Asia for use in jewellery as well as their supposed medicinal properties. "South Africa is allowing a practice that everybody is turning their backs to. We need to find a solution as a country to improve the situation," said parliament's environment committee chief Phillemon Mapulane. He added that the country's strong reputation for conservation was being compromised by the situation. "(It undermines) broader conservation, but (benefits) a small number of breeders without proper scientific or conservation basis," said Mapulane. "The industry is doing serious damage to brand South Africa." Derek Hanekom, who was acting minister for environmental affairs when parliament made its recommendations, told AFP he would appoint a special task force to examine animal breeding rules. "We are finalising the terms of reference of the panel that will investigate and make recommendations on these issues," he said. 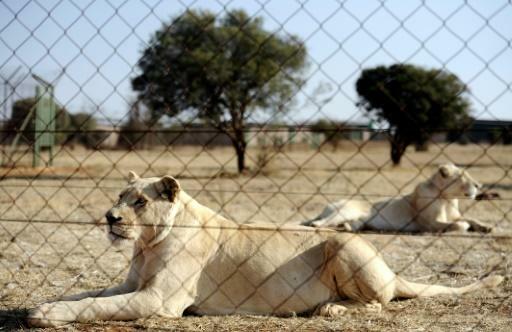 The practice of hunting lions raised in captivity has long been controversial in South Africa where a large number of animals are confined to pens ringed with electric fences. 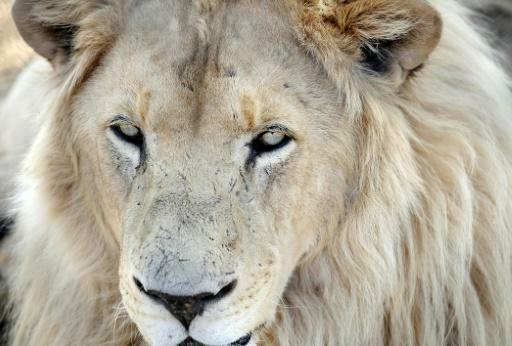 But former environment minister Edna Molewa, who died earlier this year, warned that changing the rules risked creating a situation in which "thousands of lions will have no value and there will be no income". She also warned that jobs could be lost if the country's nearly 300 lion breeding facilities were closed and the trade banned. Though the industry contributes significant tax revenues every year, activists have labelled it "unethical". Campaigns to ban the importation of captive-bred lion trophies have gathered steam in Australia, France, The Netherlands and the United States in recent years. In 2016 the International Union for Conservation of Nature called on South Africa to end the practice of hunting captive-bred lions altogether. In September, Singapore Airlines, which was the only airline involved in transporting lion bones from South Africa to Southeast Asia, announced it would no longer carry the controversial cargo. "This industry is nothing but a blight on the conservation pedigree that South Africa should otherwise be able to claim," said Yolan Friedman, chief executive of the Endangered Wildlife Trust. "South Africa's captive predator breeding industry is cruel, serves no conservation purpose, and damages South Africa's reputation as a wildlife tourism destination," added Mark Jones of the Britain-based Born Free conservation charity. Paul Funston, a senior director at the wild cat conservation group Panthera warned that the government review could be too vague to make a difference. "There is no real clear directive for change, it's not a forceful directive. We are a bit disappointed that it's not an immediate call to close the industry," said Funston. But Kirsten Nematandani, president of the South African Predator Association, warned that if parliament's recommendations were implemented "it means thousands of jobs will be lost".